Alasdair Fraser and the Valley of the Moon Scottish Fiddling School present its 35th annual concert at the Santa Cruz Civic Auditorium. Join Indie Award-winning Scottish fiddler Alasdair Fraser and 180 musicians, dancers, and singers from Valley of the Moon Fiddle Camp as we celebrate another joyous week of music in the Redwoods! Featured artists are: Nordic Fiddlers Bloc‘s Anders Hall, Boston-based fiddle diva Laura Cortese, percussive dancer Nic Gareiss, cellist Natalie Haas, vocalist Moira Smiley, pianist Cali McKasson, plus Hanneke Cassel, Deby Grosjean, Laura Risk, Janette Duncan, Colin Cotter, Adam Johansson, Valerie Thompson, Eric Wright, Duncan Wickel, Jens Linell, Galen Fraser, Jenna Moynihan, Erik Hoffman, and Ryan McKasson. Seating is General Admission- first come, first served. Buy early and save! Ticket prices increase by $2 the day of show. Advance purchases only - group discount not offered day of show. Click here or scroll below for the Group Discount. On these two-hour natural history excursions, you will explore the plants, animals, and geology of the spectacular coastal bluffs. Meet at the Wilder Ranch Interpretive Center. Bring a snack, water, binoculars, and good walking shoes. Binoculars are available to borrow. Rain cancels. Event is free; parking is $10. Please call the park to confirm at (831) 426-0505. Event made possible by Friends of Santa Cruz State Parks and California State Parks. Bring the whole family and join us for a walking story time! Bring the whole family and join us for a walking story time! We'll walk through ancient redwoods while reading a story. We'll stop and read one page, walk a bit then read the next page until we finish the story. We'll end at the historic campfire circle and gather for Nature's Reading Room. Meet at Park Headquarters. Designed for kids ages 5-12, these free workshops teach do-it-yourself skills and tool safety, while instilling a sense of accomplishment. Offered on the first Saturday of each month between 9 a.m. and noon at The Home Depot. FREE fun for all ages. Bring a project, try a design from one of our books, or just come to hangout and fold whatever strikes your fancy. All skill levels are welcome. Origami paper will be provided or bring your own if you prefer a certain type. Drop-ins welcome. Presented by the Japanese Cultural Fair - Santa Cruz, in partnership with the Aptos Public Library. Join Docent Norm Beeson for a fun-filled family walk and investigate the mysteries and wonders of Big Basin's redwood forest! We'll discover what surprises the day offers on this easy, one-mile roundtrip walk that lasts about 1.5 hours. Bring water, a snack and an adventurous spirit! Meet at Park Headquarters. Help us keep our beloved beaches clean during and after Labor Day Weekend! Join us for Plastic Pollution Prevention Monday, September 3 and beach cleanups on Tuesday, September 4 across town. Mondays 10:30 to 11:30 am from Mid-June through Labor Day. During the summer season, hour-long children's programs are offered in the Visitor Center. 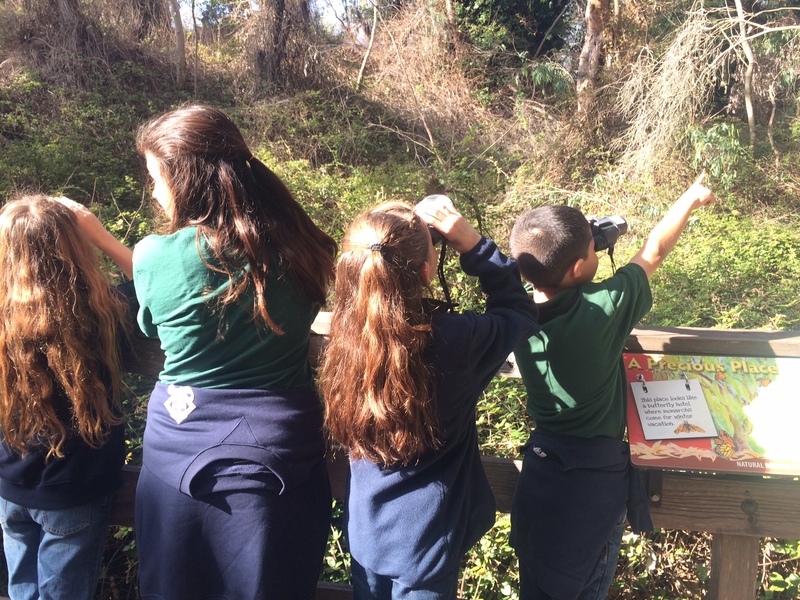 These nature programs are for children ages 3-6 and their caregivers. Weekly topics and themes vary. Previous themes have included: birds, frogs, secrets of sand, plant detectives, and many others! Spend family time in the woods over Labor Day Weekend! 12 pm Discover Big Basin Redwoods Hike! For more information please call go to https://www.parks.ca.gov/?page_id=540 or call headquarters (831) 338-8861 for details. 30 Days of Doing is a chance for kids across the nation to do with purpose through hands-on learning. Through activities in agriculture, STEM, community service, healthy living and more, 30 Days of Doing will help kids gain the skills they need to be successful in life-and have fun along the way. Plus, starting September 1 you could win a $10,000 scholarship for your kid - and your state 4-H program could receive $10,000 to inspire kids in the community! Submit a photo that shows how your child inspires themselves or others to do with purpose for themselves, their family, their community, their country or the world. Check back September 1 for more details! Shootouts, duels and other blazing re-enactments will demonstrate why the West was wild. Witness shootouts of famed lawmen and notorious outlaws from 1880's aboard the Redwood Forest Train to Bear Mountain. Historical reenactments demonstrate why the West was wild.